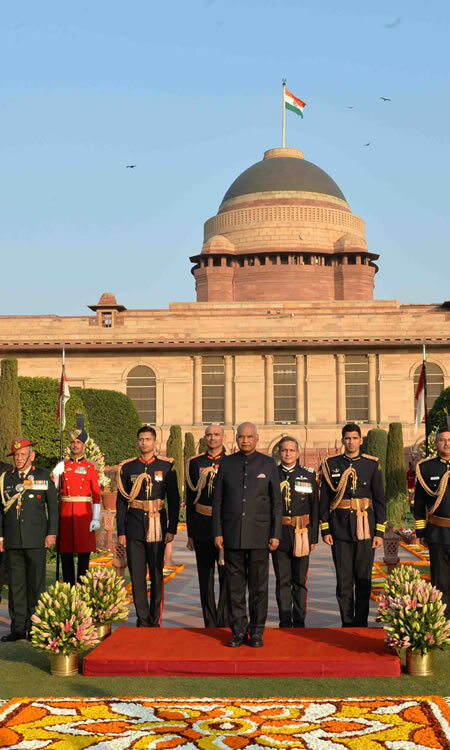 Photo: The President of India, Ram Nath Kovind, at the ‘At Home Reception,’ on the occasion of the 70th Republic Day Celebrations, at Rashtrapati Bhavan, in New Delhi on January 26, 2019. 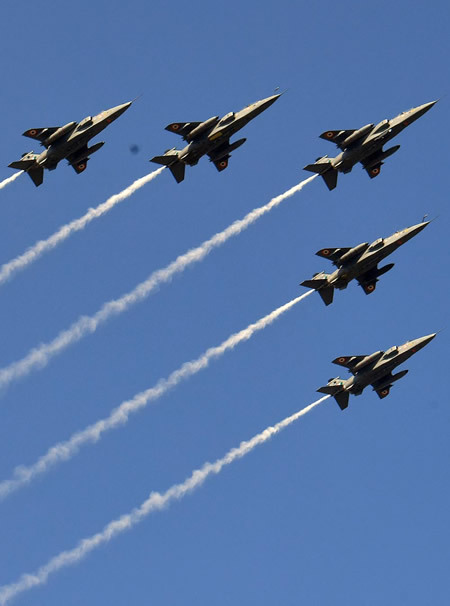 Photo: Five Jaguar fighter planes fly over Rajpath, at the 70th Republic Day Celebrations, in New Delhi on January 26, 2019. 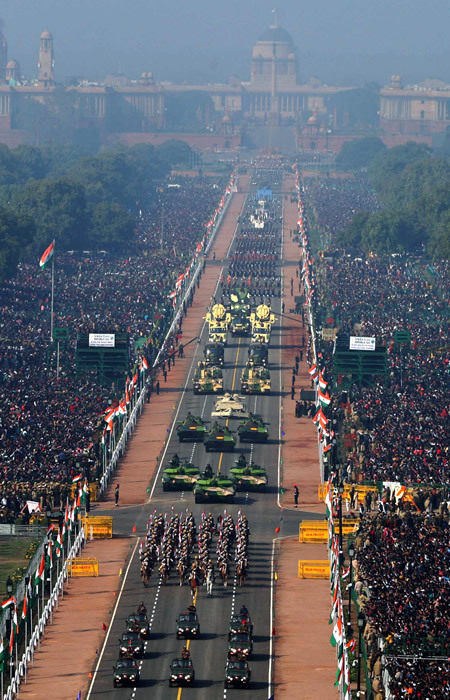 Photo: A bird’s eye view of Rajpath, at the 70th Republic Day Celebrations, in New Delhi on January 26, 2019. 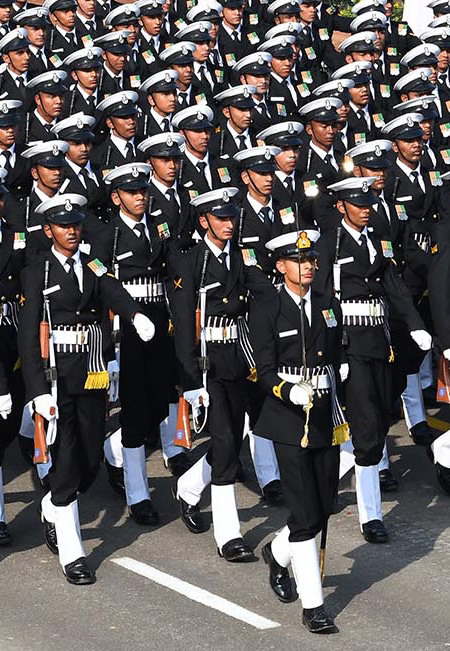 Photo: The Naval Marching Contingent passes through the Rajpath, at the 70th Republic Day Celebrations, in New Delhi on January 26, 2019. 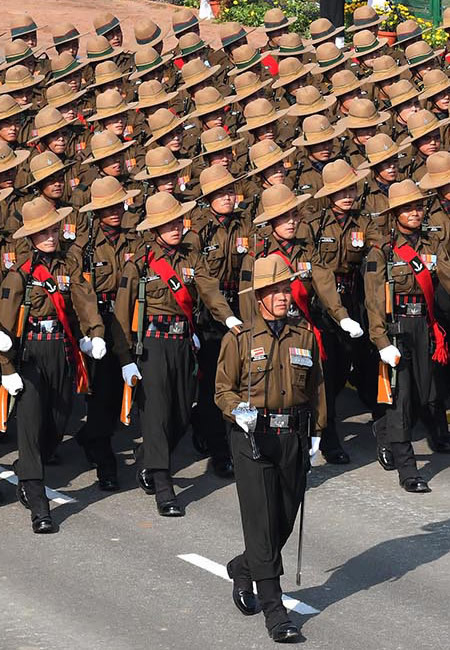 Photo: The Gorkha Brigade Marching Contingent passes through the Rajpath, at the 70th Republic Day Celebrations, in New Delhi on January 26, 2019.